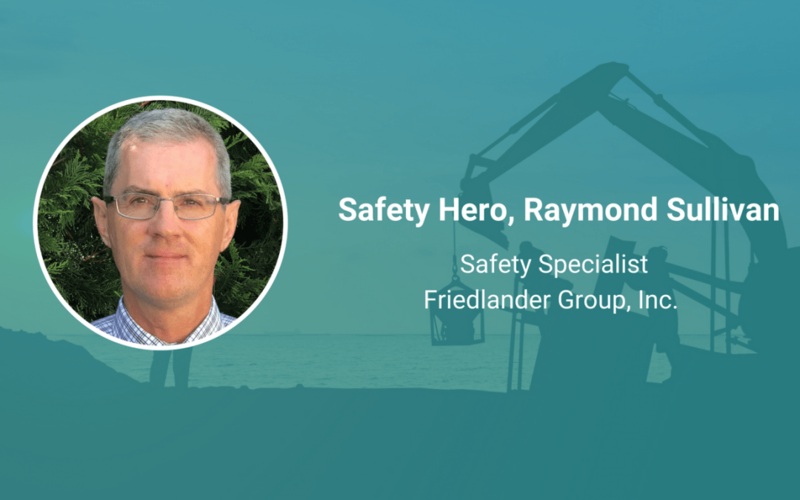 Raymond Sullivan, Safety Specialist at Friedlander Group, Inc. often jokes that he ended up in the safety profession by accident. And even though it might not have been intentional, he’s glad he’s now able to help companies become safer each day. Keep reading to see why Sullivan is a Safety Hero, including why he says communication skills are so critical today in safety. I often joke that I ended up in a safety related profession by accident. I worked at an insurance broker while in college and for a while I never left. I ended up doing some loss control work while there and that led me into a job working for a safety consultant. Ever since, I’ve been in workers’ compensation and safety. I think one of the most important tools that an effective safety professional must have is communication skills. On a daily basis I need to communicate with a wide range of people with a lot of different skills and responsibilities. I need to effectively communicate with management in HR and Finance as well as with frontline employees. I’ve been involved in the investigation of a number of accidents where an employee made a decision that at the time seemed like it wouldn’t have any negative consequences but they ended up badly hurt. I use those examples to explain to staff that even a minor deviation from how they normally perform a task can result in a catastrophic injury and that they should always take the safer approach. While we often hear that the ultimate responsibility for safety is on leadership, which is true, everyone in an organization needs to be equally committed to a safe workplace. Like I said earlier, communication skills are very important and I think I am able to communicate different safety lessons to different people, from business owners right on down to the lowest tenured employee on staff.